With the 2017-18 U SPORTS season officially in the books, it’s important to reflect on what was; and ultimately, what makes university sport in Canada so special. In both individual and team sports, there are programs built and established for continuous success. This year, Alberta curling and men’s hockey , UBC swimming and women’s field hockey, Guelph track and field along with Brock wrestling to name a few. But what about those who finally reached the top? The programs that have climbed the pedestal to reach the highest prize in Canada’s top amateur sports league – a U SPORTS national championship. After 21 national championships in the fall and winter, the 2017-18 #CHAMPSZN saw seven schools hoist a U SPORTS title in a sport they had never won before. In addition, Western football won the Vanier Cup for the first time since 1994, Toronto women’s cross country captured gold for the first time since 2002 and UBC men’s volleyball ended a 35-year drought, going back to 1983. The Thunderbirds – who used ‘1983’ as the passcode for their dressing room and returned every player from a 2017 team that was one set away from a spot in the national championship game – proved it was their year with a 3-0 sweep against the two-time defending U SPORTS champion Trinity Western Spartans. Setter and Tournament MVP Byron Keturakis knew how special it was to knock the Spartans off. “Part of what makes this so special is that Trinity is continually in this national final,” says Keturakis. “Them being so good is what makes this unbelievable." Breaking a drought that long doesn’t come very often and that’s what this U SPORTS season was all about. That plan saw his women’s volleyball team win the first national championship in any sport in Ryerson school history, defeating Alberta 3-1 in the final game. U SPORTS women’s volleyball Coach of the Year Dustin Reid noted his team’s resiliency down the stretch. While legendary coach Dave Smart and the Carleton Ravens men’s basketball team failed in its bid for a record seventh straight W.P. McGee Trophy after losing to Ryerson in the semifinal, the door was opened for another first-time national champion, with the Calgary men’s basketball squad defeating the Rams at the buzzer in Halifax. The Ravens women also became national champs for the first time, taking down the Saskatchewan Huskies in Regina. Much Like Ryerson’s Joseph described, Calgary men’s basketball head coach Daniel Vanhooren gives credit to past coaches and players in the development and success of their current program. Fourth-year Dino Mambi Diawara scored the winning basket in the dying seconds, giving Calgary the 79-77 win over Ryerson. Coming in as the No.2 seed and with veteran experience, the Dinos had gold on their mind. In an always competitive Final 8, they began the tournament barely squeaking out a 78-76 win over Brock; before handling a disciplined McGill Redmen squad in the semis. On the women’s side, it was a second-half surge that led the Ravens past the sixth-seeded Huskies 69-48 in the final. Carleton’s Catherine Traer, currently representing Canada at the Commonwealth Games in Australia, had 21 points in the final to go along with 10 boards. 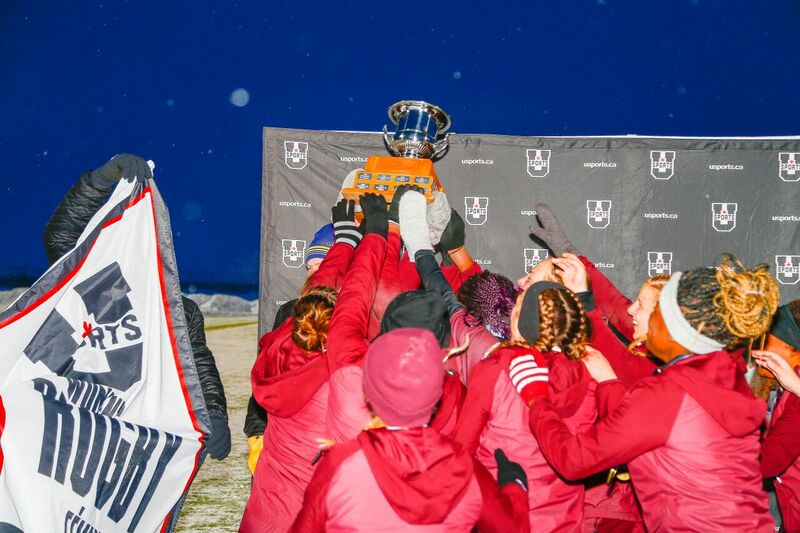 Moving to the field, the Ottawa Gee-Gees women’s rugby team won their first national title in a snow-filled tournament in Lethbridge, Alta., defeating a steady Laval side, 20-10. Following a heartbreaking loss to StFX in the final the year before, the Gee-Gees were hoping to build off three years of strong showings on the national stage. Including national championship games, they’ve gone 45-5 in the past four years; cementing themselves as a top rugby program in the country. The 2017 men’s and women’s U SPORTS soccer championships also both saw first-time winners. Cape Breton men’s soccer captured the school’s second-ever national championship in any sport, doing so 3-2 in penalty kicks, leading Cape Breton Regional Municipality Mayor Cecil Clarke to announce Dec. 12 as Capers Men’s Soccer Day, in recognition of the historic victory. On the women’s side, the Montreal Carabins soccer squad had earned national silver medals in 2009, 2011 and 2013, before finally breaking through for its first title with a 1-0 win over Cape Breton’s women’s team. Both the men’s and women’s final featured the same matchup, with the Carabins men’s team capturing silver to go along with its women’s gold. And in the Women’s Hockey Championship, nothing felt more special than fourth-year Winnipeg native Alanna Sharman winning the first national title with her hometown Manitoba Bisons. 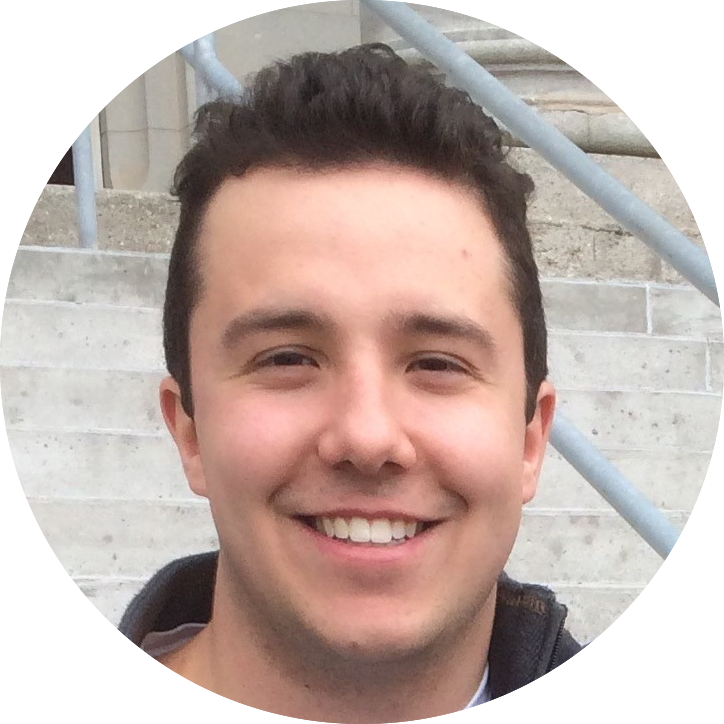 Brett is a fourth-year business student with a concentration in kinesiology at Acadia University in Wolfville, Nova Scotia. A former U SPORTS athlete with the Acadia men’s basketball program, Brett studied this past year on exchange at Lund University in Sweden for six months. His experience includes writing for the Acadia athletic department and other sports networks. Brett is currently the social media coordinator for both the Acadia men’s and women's basketball teams.